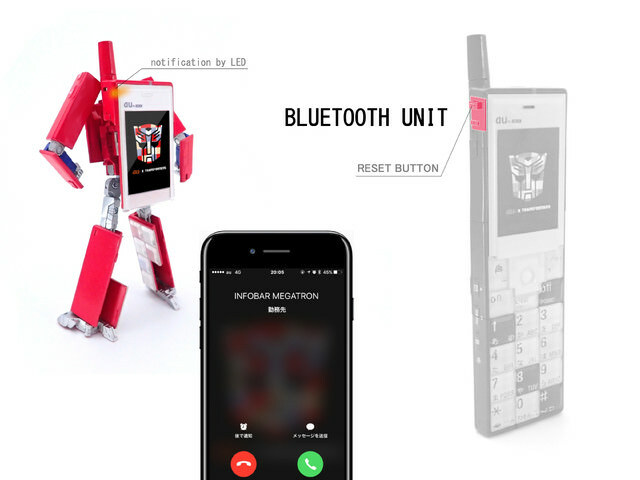 Via fellow Seibertronians primalxconvoy and Stuartmaximus, we have some additional info on the auxTRANSFORMERS collaboration for the transforming mobile phone Optimus Prime, Bumblebee and Megatron, as first reported here. Namely, we have a snazzy promotional video courtesy of Japanese phone carrier au, and a lot more details (in machine translation) about the project. Check it all out below! - This leader of Justice stands up to rescue "INFOBAR", which is a world-renowned pioneer of mobile phone design, and to protect information around the world from the Decepticons! Passion-red, calm-blue and peaceful-beige are three colors that this peace-loving leader now has incorporated in his Autobot symbol, during the "Infobar Saga". 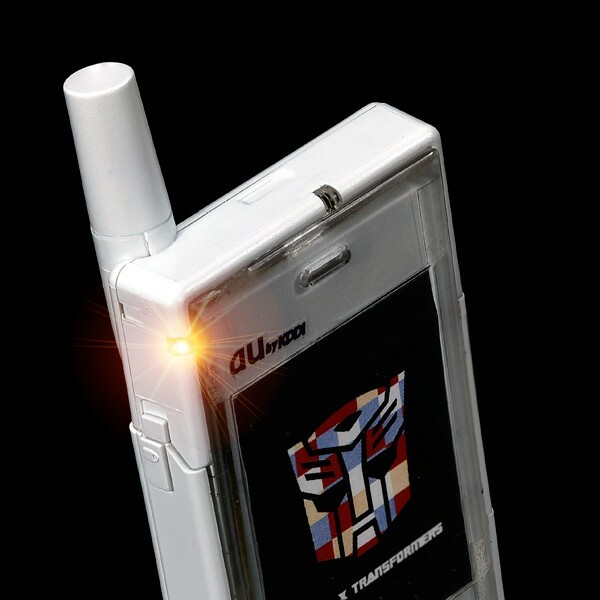 - This little Autobot can identify any information crisis around the world and rush faster than anyone to save it! His new black and white body is perfect for hiding in the shadows, too, which is befitting for his intelligence missions. 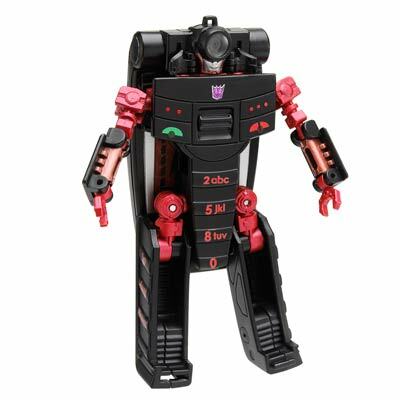 Megatron seeks to dominate the world's information bring fear and destruction to everyone! this Emperor of Destruction has chosen Blue, Dark gray and silver for his new form, as these, more mature colour combinations give him, in his mind an "Evil elegance". the world may never see him creep up before he unleashes his Evil plans! 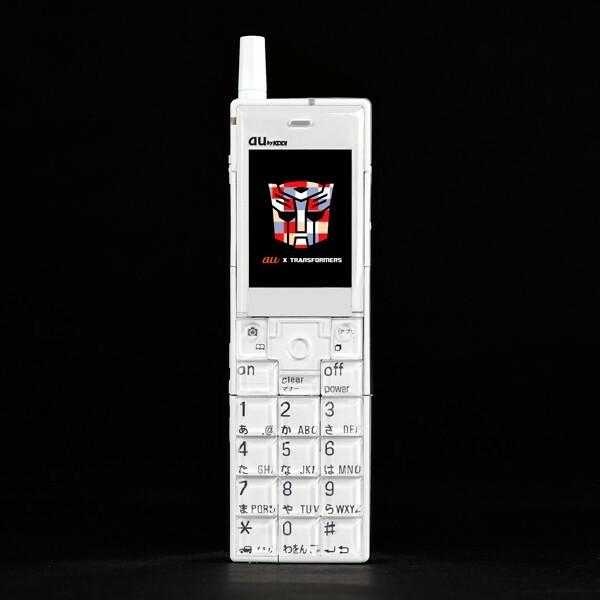 - From "INFOBAR" Featurephone to robot and back! We thoroughly packed the transformation technology, cultivated from 33 years of design history, into an extremely thin casing of 11 mm. - Built-in LEDs and Bluetooth enables the toy to display incoming notifications when linked to your smartphone via Bluetooth! 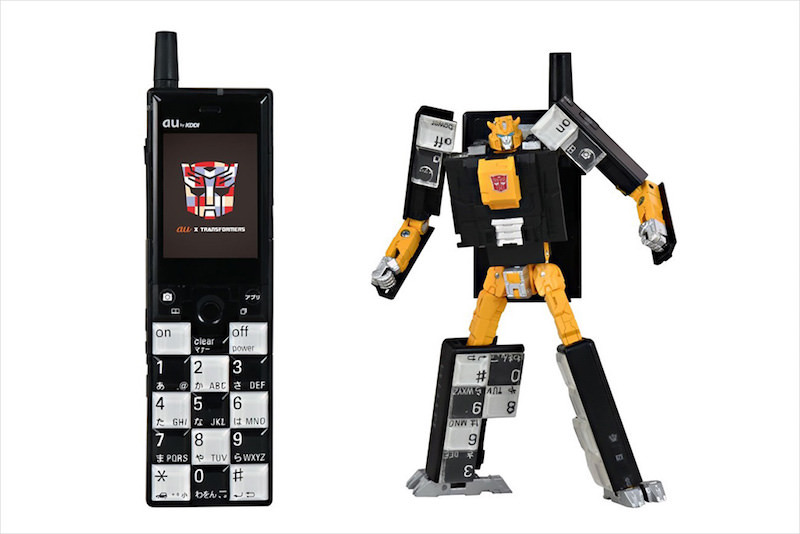 - Includes a mini mobile-phone, which can be held in the robot-mode's hand! Supported OS version: Any device running iOS 10.2 or later (Some devices may not work). - A Dedicated app will be released for certain Android devices. - Supported OS version: Android 5.0 or later (Some devices may not work). - Some devices or user-agreements may prohibit use with these toys. · Environmental factors may affect performance. · We will inform you about device compatibility as soon as possible. - Design and specifications are subject to change. - This product will be sold only for "Makuake". - product cannot connect to our access the internet or associated online services. - product comes with "test batteries". - Successful orders cannot be cancelled. - Delivery scheduled for the end of September 2017. Decepticon Stryker wrote: No no no. He clearly needs some cesium salami. I believe you are mistaken, sir. He clearly needs some beryllium baloney. No Reflector means no buy! I got called old for saying I liked that Bumblebee in an Earth Wars chat. The lad was 16. He called me old. The Megatron one looks pretty cool, but I'm not digging the others' color schemes. I mean Bee is okay, I guess, but that's mostly because it's consistent. Optimus however...Well, let's just say it's not for me. I would like to know more about these guys before I make a final decision, but they seem promising. Kinda, it's actually a crowd funding page. What's crazy is the project still has 54 days left (as of right now) and has raised 11,793,600 JPY (US$104,233) for the original goal of 1,000,000 JPY (US$8,838) from 1,318 people. 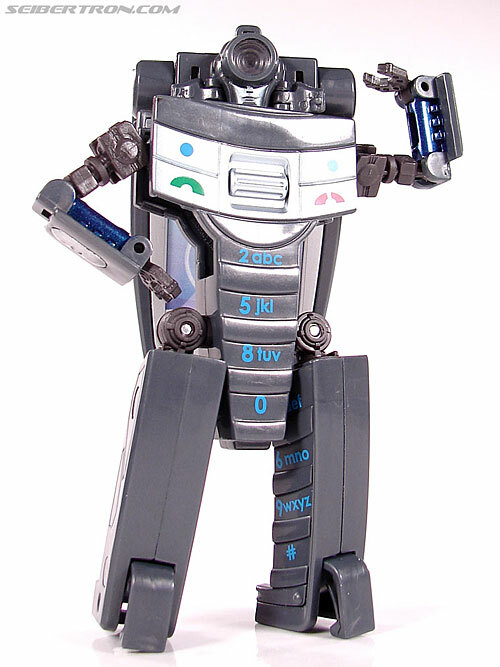 Pretty sure they only referenced the movie because of how realistic the toy looks compared to the original Infobar phone from 2003. Looks like the only thing the bluetooth does is make the LED blink when you get a call... kinda not worth the cost of the electronics. Bot mode is 6 inches, but it's slight shorter than phone mode is long. 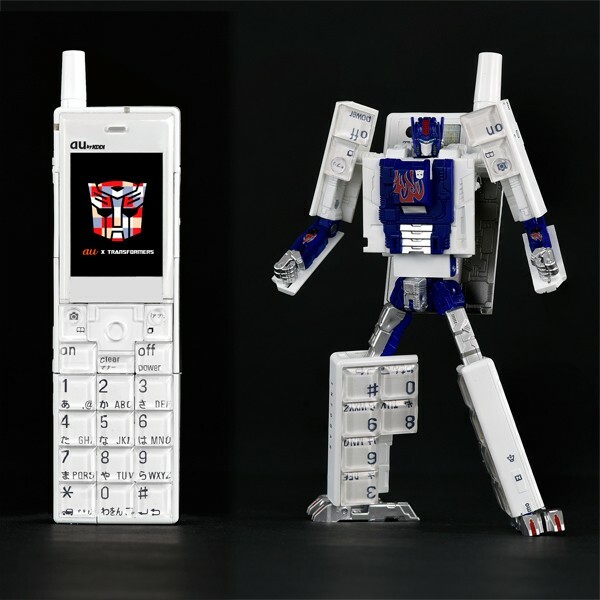 Remember those mobile phone Transformers characters, creation of a partnership between Japanese phone carrier au and Takara Tomy? 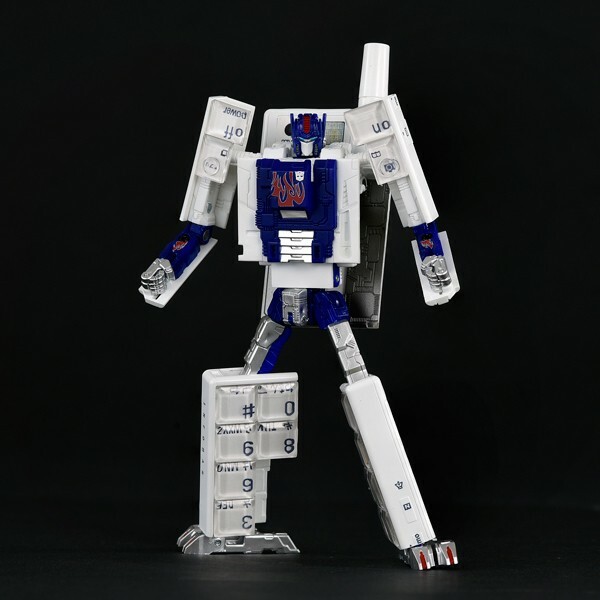 Courtesy of the latter's mall site, we have another version of an Optimus Prime looking phonechanger - called Annin - which sports a movieverse flame deco, costs 4500 Yen (approx 40 USD), and is mostly white and blue. Check it out below! Bit of an old mobile phone. I think the Speed Dial mold did it with more charm and the Wire Tap black/red repaint just looked cooler. Carnivius_Prime wrote: Bit of an old mobile phone. Every time people toss around the term "Asian market" this is the type of stuff I think of. Weird figures that transform into phones, memory sticks, shoes, hello kittys, disney characters, teddy bears, and little baseball caps. 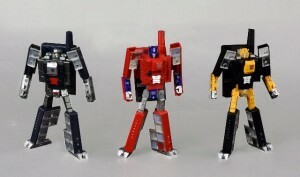 "These 3 figures are available separately for ¥5,400 or ¥16,200 for all 3, which comes to about $48 and $144 US dollars respectively"
We return to those mobile phone Transformers characters, creation of a partnership between Japanese phone carrier au and Takara Tomy: the au×TRANSFORMERS project INFOBAR OPTIMUS PRIME (NISHIKIGOI）. 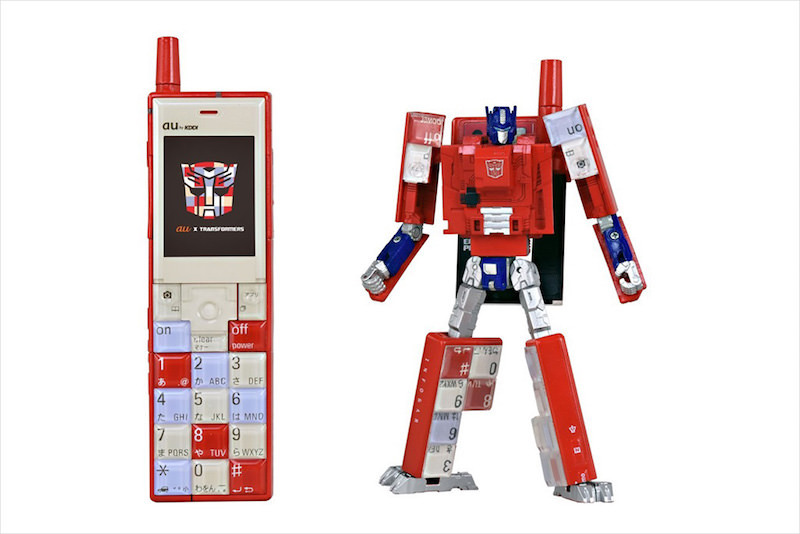 Courtesy of the official YouTube channel for Takara Tomy themselves, we have a promotional video for one of the Optimus Prime looking figures, which also includes a visual rundown of several incarnations of the character, from G1 to the live-action movieverse, via the Masterpiece line - plus the same treatment for the au mobile phone products - ending in the Nishikigoi figure! You can check out the video for yourselves below, and join the discussion on this crossover reminiscent of the old Real Gear lines in the Energon Pub discussion boards. For more information on the other figures, head to the official website for the line, here! NOTE: This is the exact same video posted back in February, but only now reuploaded by Takara Tomy. Go back a page. The video was posted back in Feb (post by Stuartmaximus). The video I posted was uploaded yesterday. But, as you point out, it is exactly the same. Huh. Who would collect these and why? Are they working cell phones? They remind me of those dumb phones with big buttons for elderly people. TakaraTomy channel post on Jan 31: https://www.youtube.com/watch?v=uC3oQ9sSm6w (restricted to Japan). Rated X wrote: Who would collect these and why? Are they working cell phones? They remind me of those dumb phones with big buttons for elderly people. 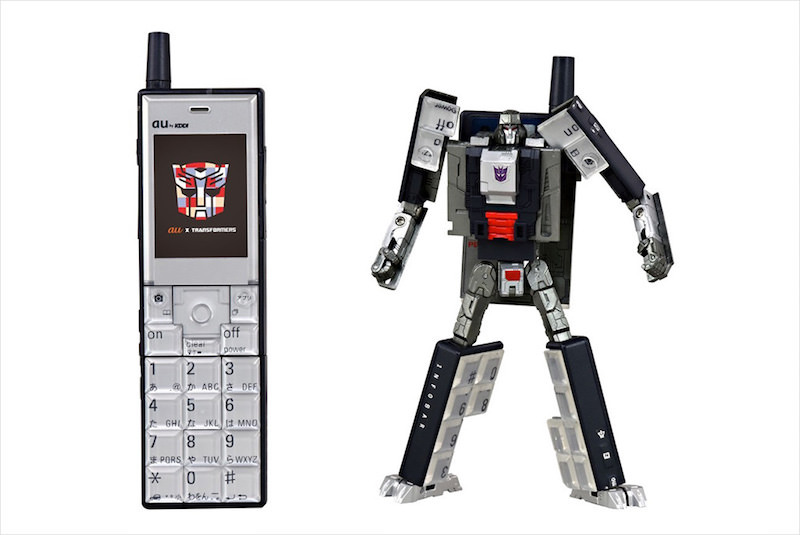 Why would anyone collect G1 Soundwave, Ravage and Laserbeak when they're not working devices? 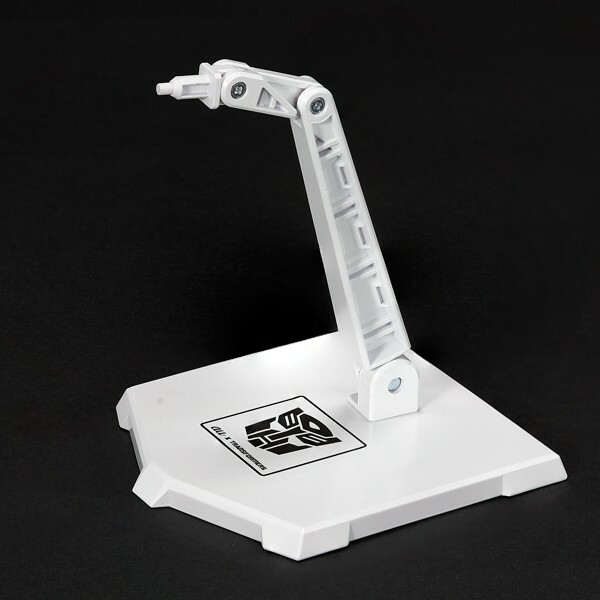 G1 Reflector, G1 Megatron, Real Gears, Mi Pad Soundwave, Sega Megatron, Playstation Optimus, etc. They are scaled down from real INFOBAR mobile phones. However, they are functional as notification devices paired with an actual phone. Same as with the Pebble smartwatch. Oh wow! They do have some function. That's neat! I said before that these would be fun for my Microman collection, but at the moment, I'm not feeling all that motivated to track them down. Deathsanras wrote: TakaraTomy channel post on Jan 31: https://www.youtube.com/watch?v=uC3oQ9sSm6w (restricted to Japan). 4,531 pages were recently viewed by 839 unique visitors. This page was viewed 1 times on Thursday, April 18th 2019 11:25am CDT. © 2019 Seibertron, Inc. DBA Seibertron.com. All Rights Reserved. Established June 2000. Seibertron.com is owned by Ryan Yzquierdo.